The ARK CAR sets sail in 2019! Help us save the world by joining us on March 9th for our first fundraising party of the year! 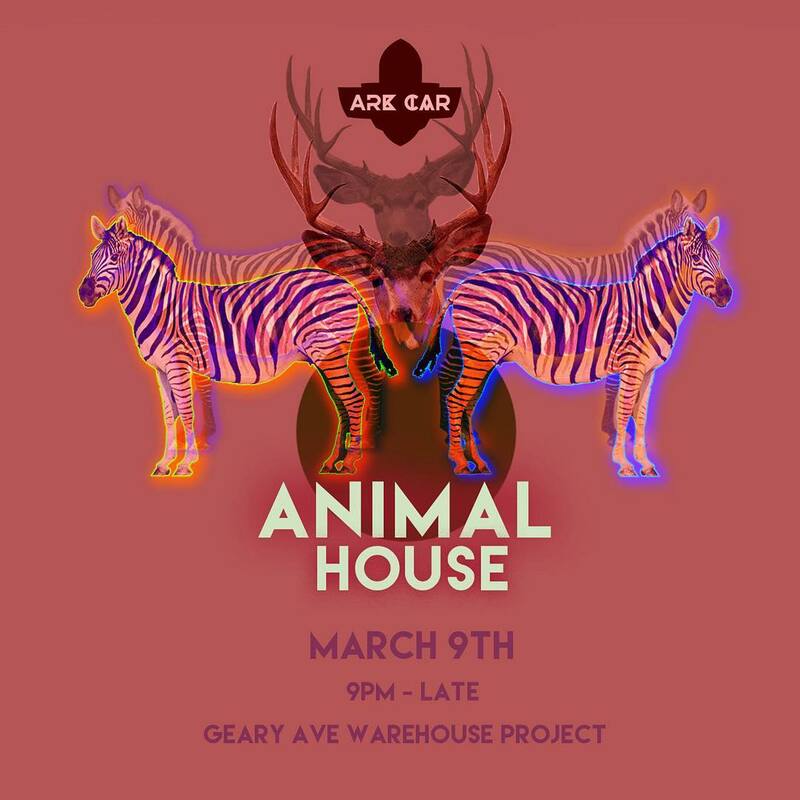 The theme for this party is ANIMAL so arrive in your most fancy animal attire, onesies, makeup or persona. When complete, the Ark Car will feature a 10,000 watt sound system with DJ equipment, a dance platform that can hold over 50 humans or animals, 100 independently programmed Nanoleaf panels projecting waves of light around the Ark, a plounge and a pizza kitchen! All proceeds will fund our 2019 upgrades and helps us set sail to Hyperborea, Lakes of Fire and Burning Man. Indiegogo fundraising perks will be handed out at the party. Thank you so much for all your generous donations. We truly appreciate it. GIFTING BAR: The bar is free! BUT! Each person must bring a contribution for the bar. All you have to do is bring one 750mL bottle of liquor to donate to the bar. Not into liquor? Bring at least a 12 pack of beer. If you don’t drink, 4L of mixer (specifically Cola, club soda, or Sprite/7UP.) If you fail to bring this contribution, expect to pay an additional $20 at the door to be put toward ice, water, and cups. Please bring cash to tip the bartenders! 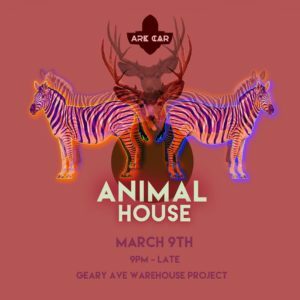 Geary Avenue Warehouse Project is a space for everyone to feel welcome and loved. Racism, sexism, ableism, homophobia, transphobia, or any other form of discrimination will not be tolerated at our events. We are obsessed with CONSENT. Always ASK before initiating touch with someone else. Everyone is free to use the restroom that best fits their gender identity or expression.